A flexible cloud-based mobility portal that allows administrators to consolidate information. 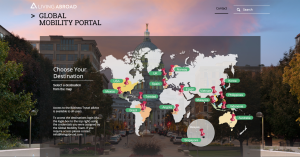 This new service from Living Abroad is a cloud-based mobility portal that allows administrators to consolidate information, links and forms for use by their assignees and families. We are honored by your interest in the Living Abroad services. Please let us know how we may help you reach your goals.